Astronoid’s sound rests largely on the glowing, almost sunny take on “-gaze,” and we’re not talking of the mopey shoegaze or blackgaze variety. Rather, the band resides in the progressive sphere of things, not terribly far off from Between the Buried and Me’s more starry-eyed moments, which are easily detected upon album opener “A New Color” and the saccharine thrash of “I Dream in Lines.” Vocalist/guitarist Brett Boland probably hangs around a bit too much in this comfortable comfort zone — he’s rarely willing to deviate from the course, which could be problematic for those searching for at least an ounce of darkness across the album’s nine cuts. They’re not going to get it. 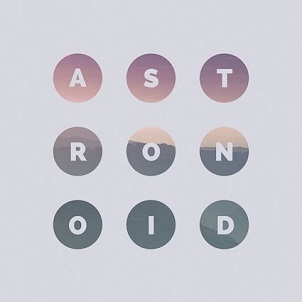 Astronoid ultimately succeeds here because they so daringly walk a fine line. They’re essentially taking elements that most metallers would scoff at and doing the proverbial take-it-or-leave-it, which, in this case, should be a lot of take. It’s just a coy way of doing things; EMO thrash abounds on “I Wish I Was There While the Sun Set.” Alt-modern metal holds firm on “Ideal World.” None of these songs should get by, but Astronoid, in their isolated sonic bubble, defy all.